Sicycre here, ready to share the exciting details of this year's Hatching-tide event on April 9th, starting at 1:00 a.m. PDT! First, let's take a look at this year's event art, how cute! 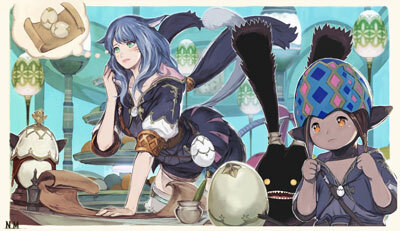 That Miqo'te and Lalafell look adorable in their outfits, but they seem troubled by something. I wonder what? So now that you're in the know, let's get into the goodies, shall we? After the Spriggan outfit reward was revealed, we received feedback on various social media platforms saying how "It's cute!" or "I want it!" so we'd like to go into a little more detail about the rewards today. 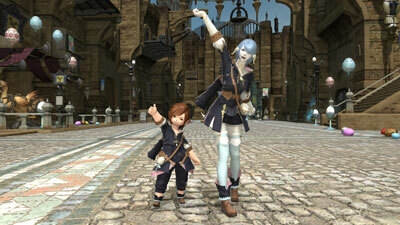 First, here are some images of the outfits being worn by this cute pair! It suits them really well, don't you think? The hood has a Spriggan ears design and the best part is when the ears wiggle as you run! I personally it's going to look SUPER cute. Additionally, we'd like to show off the knee socks on the female version of the outfit just to clarify which piece they belong to! As you can see, the knee socks are part of the leggings! 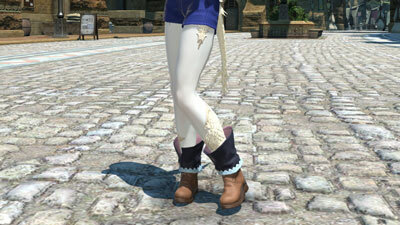 We think both the bottoms and boots are sure to go well with other outfits and we encourage you all to have fun coordinating glamours with these new pieces! Once again, The Egg Hunt will be making its return this coming week but the quest itself is quite different from usual, so please look forward to it! It's going to be... eggcellent... no yolk about it. Just don't crack under the pressure. A-anyway! 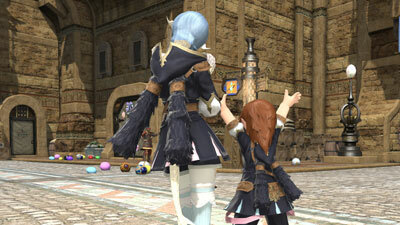 Thanks for previewing the Spriggan apparel coming soon to this year's Hatching-tide event with me. 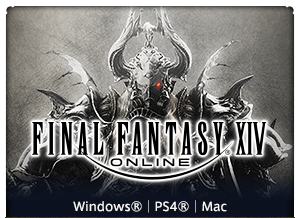 If you would like to check out the special event site itself, check it out here! Until next time, my fellow adventurers!